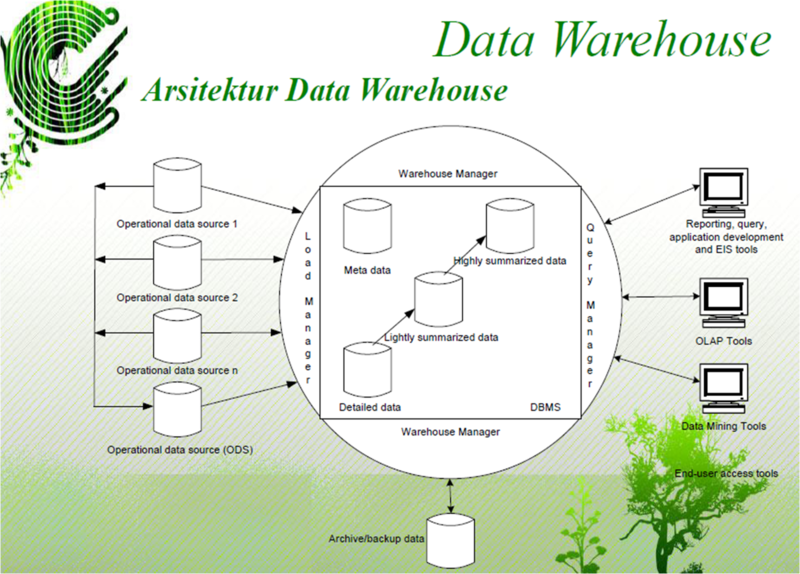 A data warehouse system comprising a warehouse database and a data warehouse manager communicatively coupled to the database. 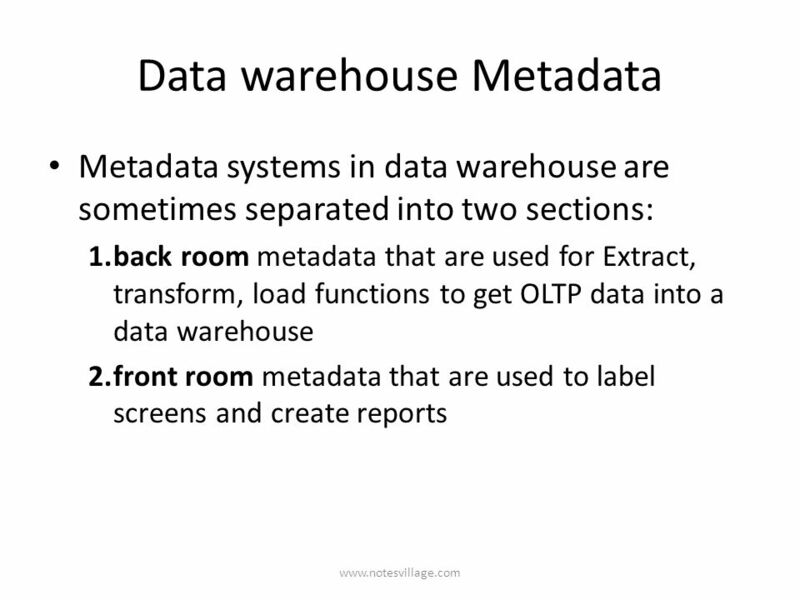 The warehouse manager is to store data to and retrieve data from the warehouse database and perform metadata reconciliation to update metadata of objects in the data warehouse to reflect a change in metadata of a first... Metadata: Metadata or "data about data", is used to inform users of the data warehouse about its status and the information held within the data warehouse. Operations: Data warehouse operations comprises of the processes of loading, manipulating and extracting data from the data warehouse. Operations also covers user management, security, capacity management and related functions. COMMUNICATIONS OF THE ACMMarch 2005/Vol. 48, No. 3 79 Using a common set of attributes to determine which methodology to use in a particular data warehousing project.